Because it included the pad refills where others did not. TO BE ABLE TO CLEAN CORNERS WITHOUT GETTING ON YOUR KNEES. help in cleaning and reaching. 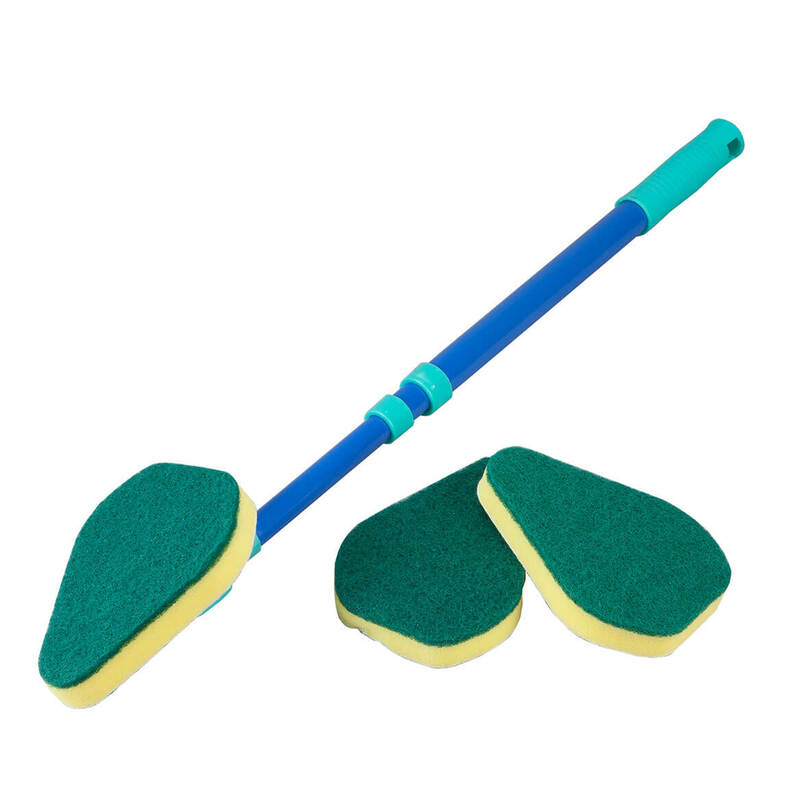 Great for cleaning painted walls and hard to reach areas. I need a small cleaning item to get in small places. I chose this item because I needed something to help me clean around the toilet more easily. My bathroom is small and the space around the toilet is hard to get to. Cleaning my bathrooms are difficult for me I am unable to bend down, I hope this works for me. I love this product. I am on a walker and can't do much bending so this gets to all the hard spots to clean. So glad someone came up with this. Have been looking for something to clean corners. Am anxious to get this item to help with chore. Looks as though it would be easy to use. I have a hard time cleaning around fixtures in the bathroom, and this tool seems to be built for just that job. Hope this will be good on floor around toilet bottom. I can no longer get down on the floor to clean things. I like the extra pads. Hope it is a good purchase. I researched serveral on Amazon and chose this becsuse of shape and replacement pads. I hope the cleaning surface is sturdy and effective. I NEED TO WASH OUTSIDE PATIO. because of my age.can't stoop down as I use to. This tool will help me clean in some of the tight corners in the bathroom, so that I don't have to get on my knees to properly do the work. To have access to hard to clean places. 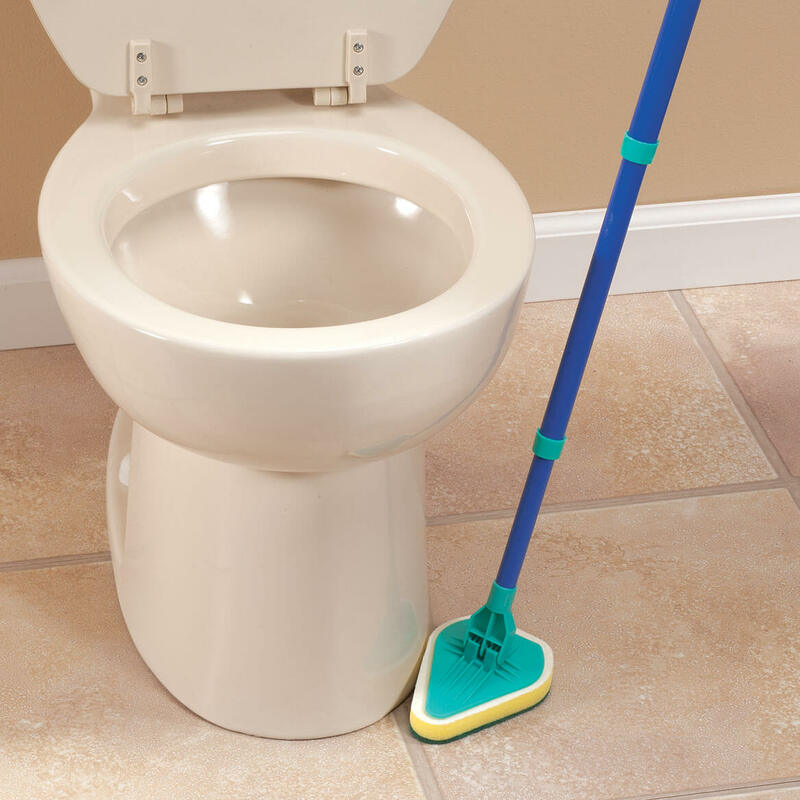 A very helpful mop to get in hard to reach spaces, especially in bathrooms. Works great on the kitchen floor edges and corners and it is excellent in the bathroom to clean in the corners and around the toilet area. Cleaning behind the toilet is so difficult and this looks as if it will be a lot easier to clean behind there. Are refills on item 360738 available without ordering the scrubbing wand? BEST ANSWER: Thank you for your question. Unfortunately no the refills are not available separately. We hope this information will be of help to you.